After months of writing during chemo and then many months of silence from the publisher, there was just about enough time to squeeze in a relapse before the book was finally edited and printed, ready for release on the 3rd of April in the UK and the 22nd of April overseas. You can buy now on Amazon if you feel so inclined, I would be very happy, but more importantly than that, it will hopefully help you too. There’s lots of tips and it has a bit of pace, so you won’t be bored I promise. Much love, enjoy reading and I hope it helps to break down a few more taboos. I’m not one for blowing my own trumpet, so shy away from shouting about it all over social media, I figure you’ve had enough of all that. Despite being in marketing, I kind of hope you will forgive my lack of marketing and just stumble across it and think that’s nice, I’ll go and buy that. I promise you the contents are more interesting than the rather boring cover. Did have a little argument with the publisher with that one, but they won. Loving reading your book. 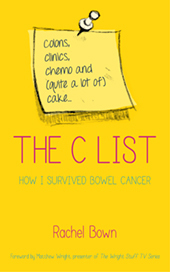 Having accidentally found out that I have stage 4 bowel cancer at 46 with two small children I find your book informative, funny and above all it makes me feel I am not alone. Thank you for writing it. Just got your book today, and I’m loving every word of it. 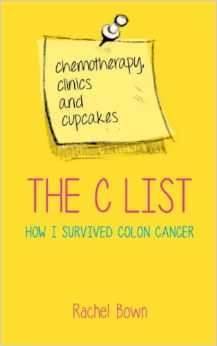 As a breast cancer survivor (chemo, surgery and radiation last year), I’m reading a lot of my own thoughts, issues and concerns in your story. I’m also a list maker, so reading your lists feels familiar as well.